Thinking the Unthinkable is Donato Piccolo’s new large-scale visionnary project. 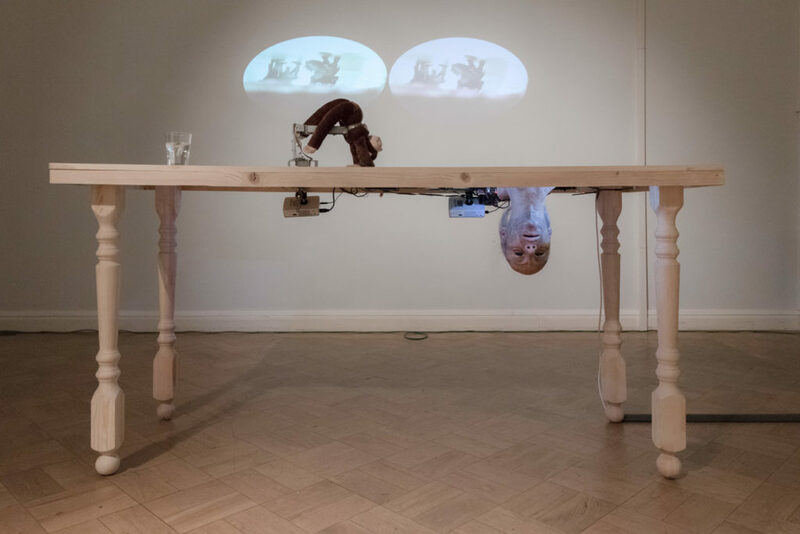 Donato Piccolo’s kinetic sculptural installation is an interaction between contemporary art, science, and new technology. It is a relationship between man and nature, with the intent of entering the mind of a modern Leonardo da Vinci. Starting from the automaton knight (also known as Leonardo’s robot), a mechanical humanoid automaton designed by da Vinci in 1495, Piccolo tries to imagine what da Vinci would create today, reinterpreting and fulfilling the dreams of the Renaissance genius. 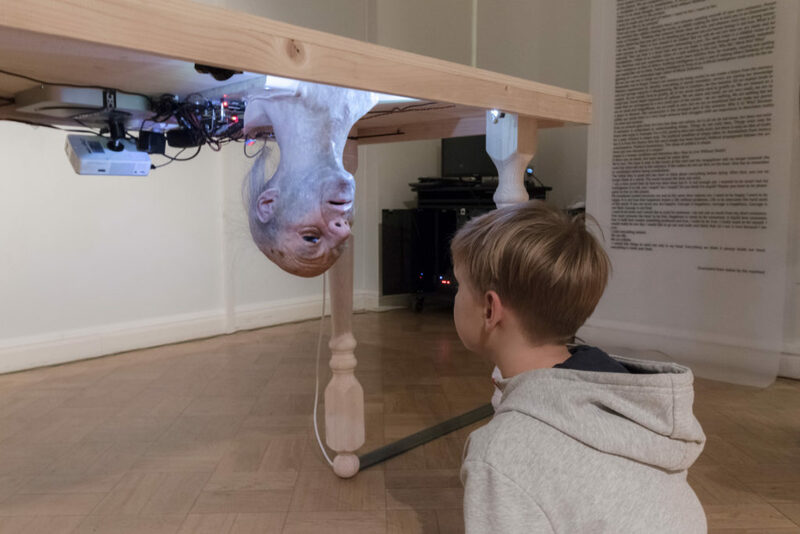 After being exhibited at the Youth Education Center of The State Hermitage Museum in St. Petersburg, the project will travel to New York on December 7th, at the Media Center at Cyfest, and then in 2018 will return to Europe. It will be shown at Maxxi in Rome for the Media Art Festival and then at Dundee in the UK for the Neon Festival. Thinking the Unthinkable is a metaphor, an experiment on human limits and possibilities; it is a study on the cognitive aspects impacting our reality which make it difficult to distinguish what we see from what really is. Thinking the Unthinkable is a motion installation that plays on dynamics, physics, and electronic and electromagnetic principles by implementing them on a system of thought that considers the machine only as a pure abstraction of the human spirit, and that brings the human being back to the center of reflection on artificial intelligence. 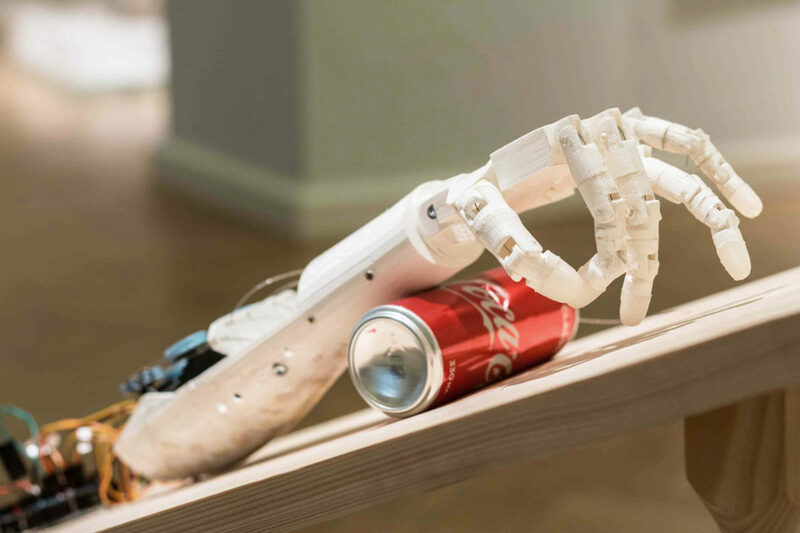 Prostheses, bachelor objects and various shapes will be part of a single dynamic “corpus”, split and wandering on the edge of art and science, modifying our idea of the relationship between subject and object.